Roku is a wonderful streaming device that helps you to watch free movies, series and virtually all other forms of entertainment media. With Roku, you can quite literally stream as much content as you want. All you have to do is access one of the many hundreds of channels available; then you’ll be able to watch movies free of charge! But of course, in order to do so, you need to know the right channels. This article is to talk about some great channels which you can access to view free movies and series. Before we move on this Guide to Watch Free Movies and Series on Roku, let’s start off with the basics. If you’re one of the few people who’ve stumbled across this article in the hopes of looking for some kind of software or streaming service that will allow you to stream movies series for free, then you’re in luck! Roku is exactly what you need! With Roku, you can stream movies and series right into your TV! All you need is the Roku streaming player and you’re good to go. Available in stick format (similar to the Firestick) or as larger devices; you can add channels to access the content of your choice. In order to view the content you want, you just need to know the right channel. Also is important to talk about privacy and security protection, before go on with this Guide to Watch Free Movies and Series on Roku. Almost everything we do today is centered online. Even Roku depends on the internet to load movies and series that you can watch for free. Because of this, there’s a serious threat of your privacy online being threatened by people with less than good intentions. However, to be fair, it’s not just hackers you need to be worried about. Some governments have put special laws in place as a means to monitor people. Others have stricter laws that don’t allow you to watch certain content online. If you’re in such a region, then we seriously advise you to use a VPN. It’s a perfectly legal way of watching content not available in your part of the world. But that’s not the only use of VPNs. You can use VPNs for much more than that. For, in spite of Roku’s best efforts to make sure that all the streaming content is official, some countries have very strict laws, mostly due to things like government censorship. Such issues are entirely political in nature but citizens do get punished for it. In order to prevent such a thing happening to you (if you live in such a region that is), a VPN might be a good choice. Not just for Roku but for whenever you decide to use the internet. VPNs can help overcome restrictions on websites as well so it’s definitely a good idea to get one for yourself. As for suggestions, we recommend using IPVanish as your go-to VPN. It’s a paid, subscription-based service- mind you- but we prefer it over other VPNs available for free because of how great it is. IPVanish is the best VPN for Roku. IPVanish holds the title of the world’s best VPN service. You can fact check that! It is the best VPN service available and there are many reasons for this. For one, it has a great 24/7 support service that’s there at your beck and call whenever you need any help. Secondly, and this is what got us hooked to IPVanish, is the fact that it has a no logging policy. What does this mean? Well, it means that once you’ve turned on this VPN, no matter what you Google, from where ever in the world, there will be no record of it. Yes, we’re serious. There is no back door, a central server that records all your web history with IPVanish. This way no one will ever be able to find out what you do online so you’re safe from hackers and other regulating bodies. It’s really good for protecting your privacy online. You can find more details on IPVanish from there website. For all these reasons We managed to get an exclusive 57% of IPVanish. Roku has channels that offer a subscription-based viewing service. Such channels include Netflix and other such companies. This is great but it can be quite costly and sometimes the costs of “cutting the cord” equal the costs of staying with cable. This is why some of the other free channels are worth looking at – however, when you use these channels it’s imperative that you use a VPN as often these channels provide access to copyright content. 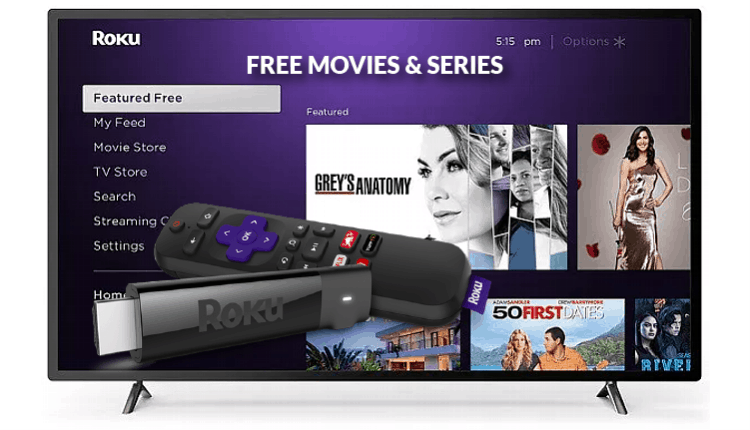 Here’s our list of the top free channels you can use watch movies and series on Roku. This channel includes the essentials; full-length, feature films, TV series and even programs available on your local show sorted out into your favorite genre. From sci-fi to horror to romance, you can find all sorts of movies and series according to your taste. Crackle is proud to show content that hasn’t been pirated or picked up from some D-list website; so you can expect quality content for sure! You can download Crackle from the Roku Store. You can find out some more information on Crackle here. The Tubi TV channel on Roku is a free television channel that allows you to view exclusive Hollywood content for free. It has one of the largest collections of movies and TV shows available on the platform and you can easily find all of your favorite Hollywood movies and TV shows here. For fans of OVGuide, you’ll be happy to learn that OVGuide is available on Roku. You can find it on the Roku Store and enjoy over thousands of free movies and TV shows from across the continent in your native language as well! Content is added daily to this platform and you don’t need to pay anything or even have a subscription to access this. If this isn’t a deal then we don’t know what is! PlutoTV will serve as an extension of your cable TV network if you install this from the Roku Store. Why? Well, that’s because it is kind of like an internet TV. You can access movies, TV shows, sports, news, and even live events through PlutoTV. In addition, you can expect to view your favorite news sources such as podcasts and even some YouTube channels- all for free! 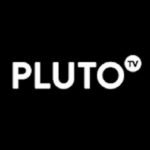 You can find more information about PlutoTV here also. Popcornflix Roku Channel has all sorts of entertainment content available on its platform; includes movies, documentaries, foreign films, web series and also cable TV series. It also includes indie movies from young, up-and-coming directors and producers as well so you’ll be one of the first people to see the talents of tomorrow’s filmmakers! These were some of the channels which you can access to view content such as movies and series on your Roku device. The installation process for all of these channels is pretty simple: all you have to do is go to the Roku Store and search these channels and install them! It’s really that simple. So that’s about it- here’s our list of channels that will allow you to Watch Free Movies and Series on Roku. We hope you liked it and that you will consider our strong advice and get a VPN to compliment your Roku experience as well! Great points mentioned in the article. I use a VPN to protect my privacy while I’m watching Roku.